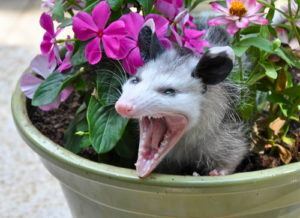 While most people are familiar with the expression “playing possum,” few know what an opossum (commonly referred to as a “possum”) looks like or what damage it can do. Possum control is a must, particularly if you live in an area known for these creatures. If you discover opossums on your property or signs that they’ve been there, know how to identify them and when to call in the professionals. Opossums are the only marsupial in North America. They weigh about 6-12 pounds apiece and can grow up to 16 inches long—not including their tails, which can reach up to 3 feet. Opossums have gray fur and white, pointed faces. They use their tails to climb and sometimes hang from eaves, trees, or other areas. Their paws look similar to human hands, with five fingers each and opposable thumb digits on their back feet. Possum control is crucial since possums carry many dangerous parasites and diseases. These include Chagas disease, tuberculosis, and tularemia. To ensure possums don’t enter your property, remove overgrown shrubs and grasses where they may hide. Seal food sources like garbage cans, and do not keep pet food outdoors. 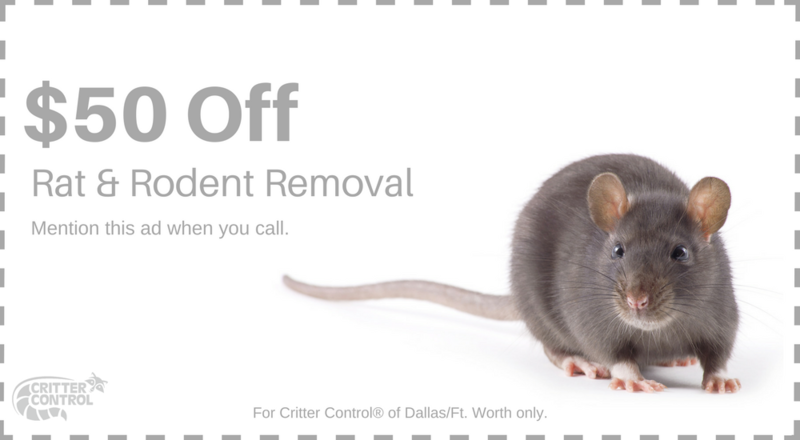 If you do find opossums on your property, call Critter Control® of Ft. Worth or fill out a Contact Us form for inspection, removal, and tips on long-term opossum control.